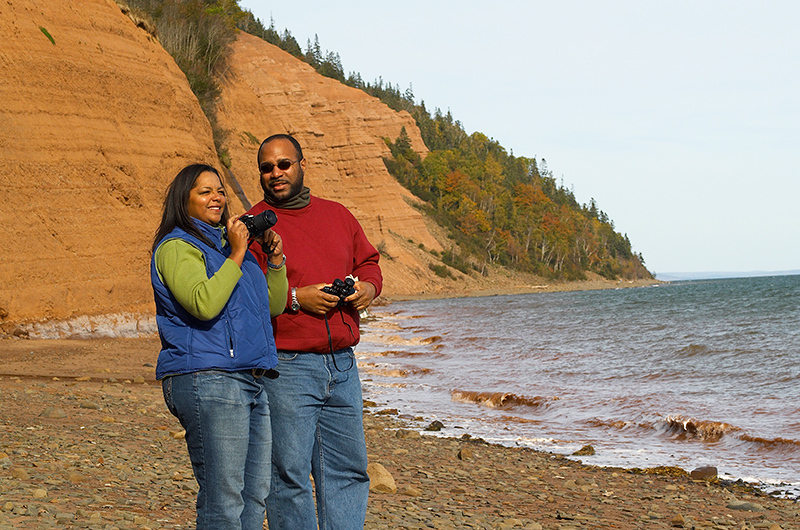 Rising majestically from the shores of the Minas Basin, Blomidon Provincial Park is renowned for its spectacular views. 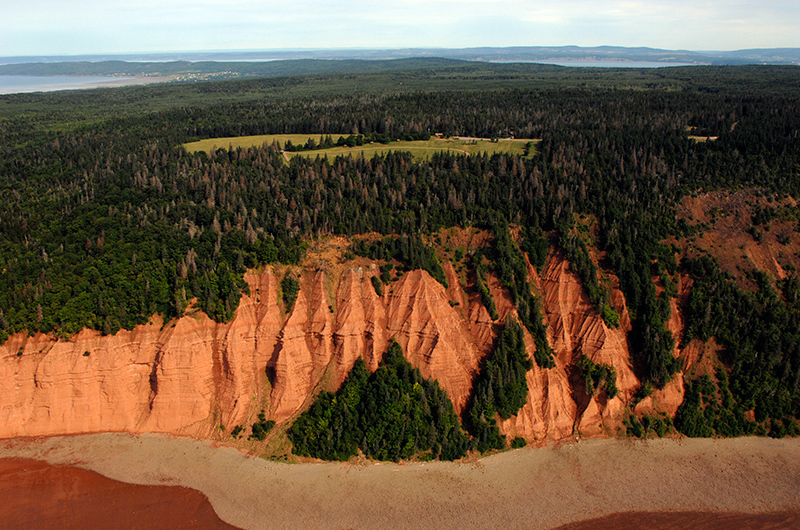 Blomidon's 759 ha (1,875 acres) include 180 m (600 ft.) high cliffs, a variety of habitats, striking natural features, abundant wildlife – and the world's highest tides wash its shores. 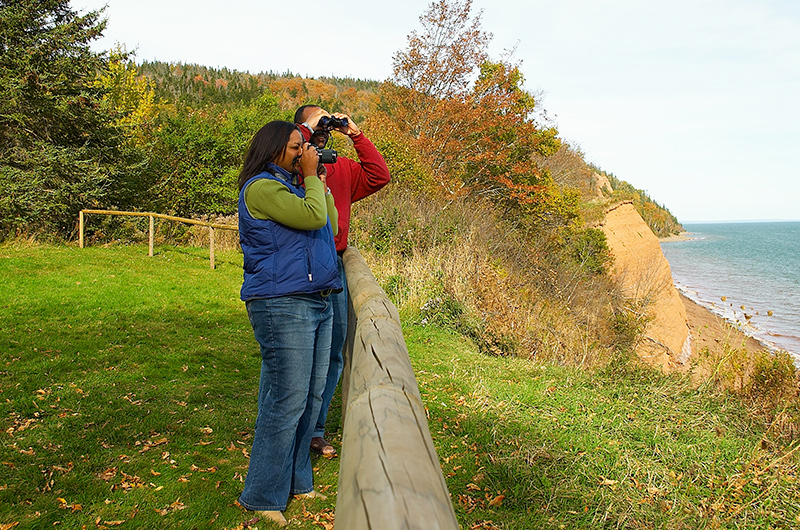 These natural attractions provide excellent opportunities for camping, hiking, beachcombing, photography or just appreciating nature. Picnic at the top, or the foot, of Cape Blomidon. Note tide times, as you could be stranded until high tide recedes. 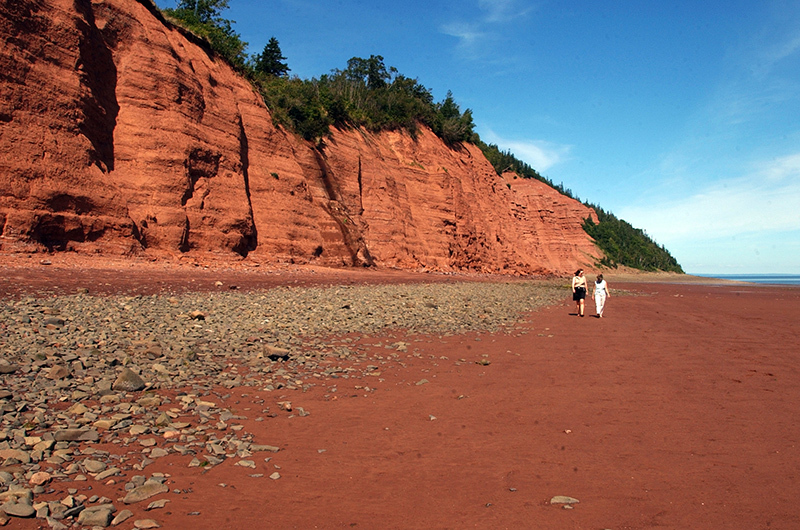 Access to the red sand beach is under construction; it is currently not accessible. 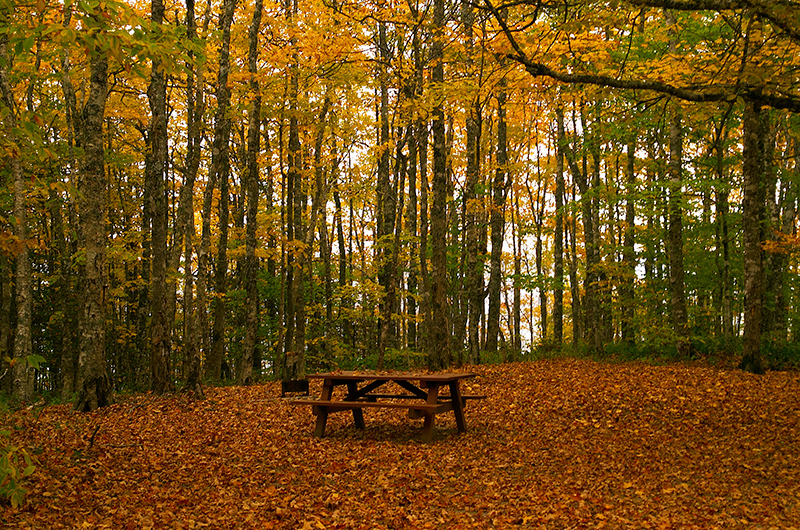 Hike the all-season trails, 13 km (8 mi), through mature hardwoods, with numerous panoramic views of the Minas Basin. 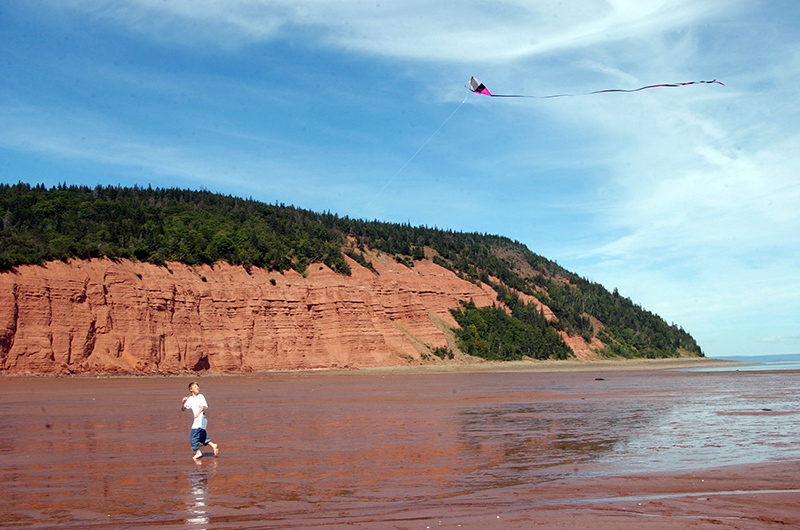 Cape Split Provincial Park Reserve (Scots Bay), Blomidon Look-off Provincial Park, Grand Pre National Historic Site, and several museums nearby communities. 76 open/partially wooded/wooded overnight sites (unserviced; 6 pullthroughs). Group sites available. 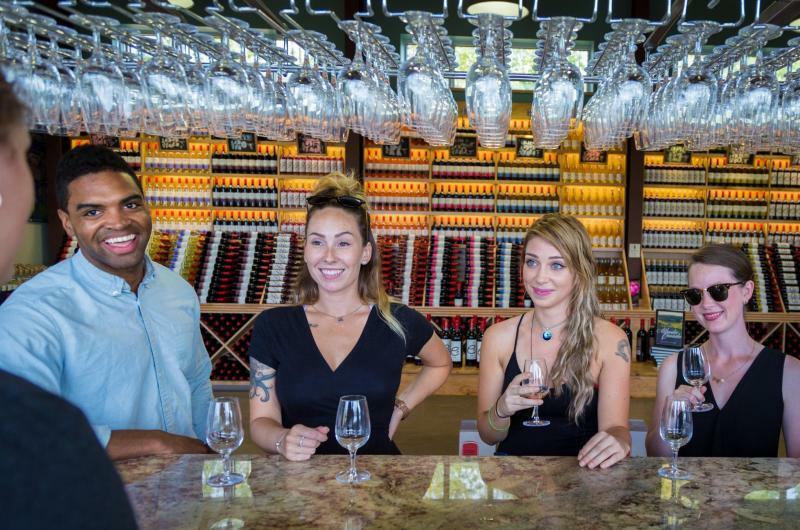 flush toilets, showers, disposal station, fire grills, table and group shelters, multi-purpose building with wood stove, hiking trails, change houses in day-use area, wood and ice. Wi-Fi is available at the administration building. This is a Campground Host park. Leashed pets permitted. Directions: Hwy 101, Exit 11 to Rte 358, through Canning, turn left on Pereau Rd.